When you look up from Baby Step 3, you’re going to be impressed with how far you’ve come—and everything you’ve learned along the way. Episode 82: Baby Step 3 - Saving! Listen to Chris Brown talk through the baby steps on Chris Brown's True Stewardship! The Baby Steps teach us a lot about money, but they teach us a lot about life, too. In Baby Step 1, you set up a starter emergency fund, but you also learn how to hit your goals, the power of contentment, and the difference between wants and needs. And then in Baby Step 2, you pay off all of your debt while you learn some patience, discover that you really can say no, and experience the rewards of hard work. Next up is Baby Step 3. It’s time to build up your emergency fund. Instead of keeping it at $1,000, you’re going to save 3–6 months of expenses. Keep in mind this doesn’t include your entertainment budget or your vacation fund. We’re talking bare bones, only-what-you-need-to-survive, folks. For most people, this is somewhere between $10,000 and $15,000. Now that you’ve refreshed your memory on what Baby Step 3 is, let’s take a look at some of the great things you can learn as you fill up your emergency fund. 1. You learn the power of endurance. Baby Step 3 shows you that endurance pays off—literally! The first time you thought about saving that much money in your emergency fund, it probably sounded impossible. 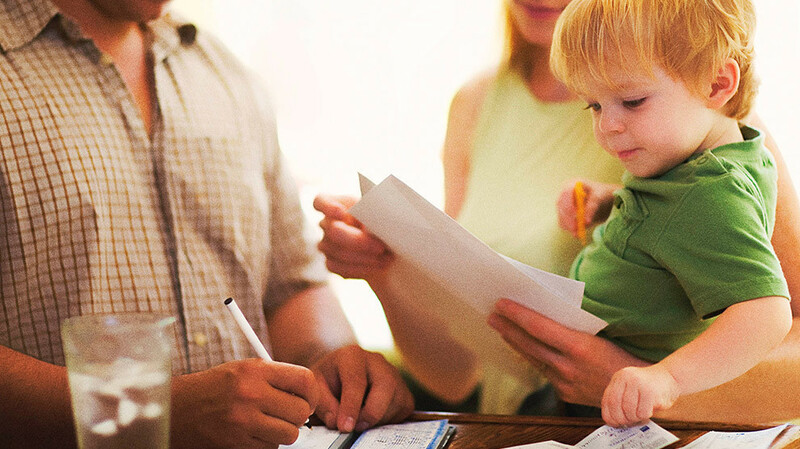 After all, 3–6 months of expenses is more than most Americans ever have in their savings accounts. But when you dig your heels in and commit to running the marathon instead of the sprint, you reap the rewards. And the icing on the cake is that endurance is powerful—not only when it comes to your finances, but with any goal you set. 2. You learn what it means to have financial peace. Maybe the phrase financial peace sounded cheesy before, but it doesn’t after your emergency fund is in place. Now, don’t misunderstand us here. You’ll never find true and everlasting peace outside of your relationship with God. But financial peace is different. The Bible tells us how to handle money—we just have to do what it says. Proverbs 21:20 (NIV) tells us, “The wise store up choice food and olive oil.” And Proverbs 6:6–8 talks about how ants wisely store up provisions in the summer. God doesn’t want us to be stressed about money. He wants us to follow His rules, find financial peace, and focus on the most important things in life. 3. You gain a new perspective on life. This goes hand in hand with financial peace. When you don’t have any debt and you have a full emergency fund in place, you start seeing life a little differently. You don’t worry as much. You sleep better at night. Disasters, curve balls, and emergencies don’t shake you as much as they used to. You have more options and opportunities. And now that you aren’t spending all of your time worrying about making ends meet, you can focus on other people—and on your Creator. The first three Baby Steps just might be the hardest ones of all. You spend a lot of your time with your head down, focused on some pretty big goals. It’s like you have blinders on to keep you focused as you take one step at a time. But the good news is that there is light at the end of the tunnel. And when you look up from Baby Step 3, you’re going to be impressed with how far you’ve come—and everything you’ve learned along the way. Interested in the plan to save, spend, give, and get out of debt? Get started with Financial Peace University today!